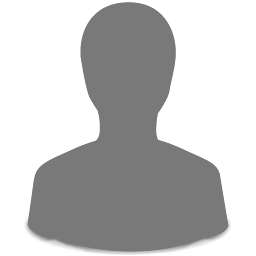 Winter is a wonderful contrast of cold, grey, stormy weather and the magic and warmth that the holiday season brings. 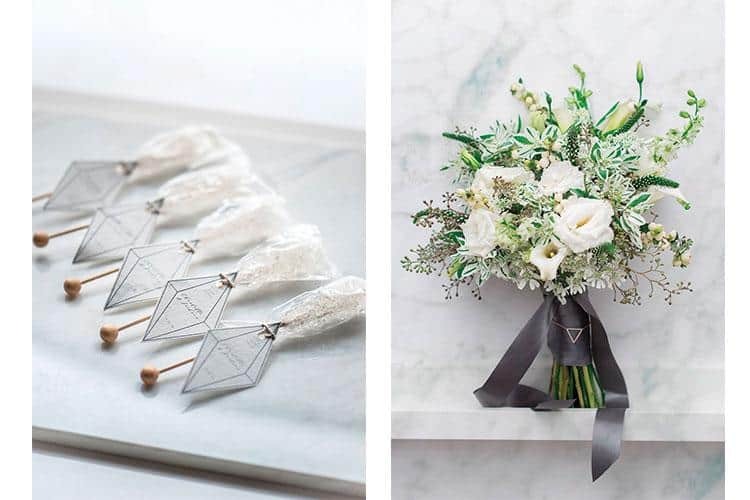 With this in mind, we created an intimate wedding theme infused with the wintery coldness of marble and crystals, but combined with the magical almost star-like qualities of modern geometric shapes. 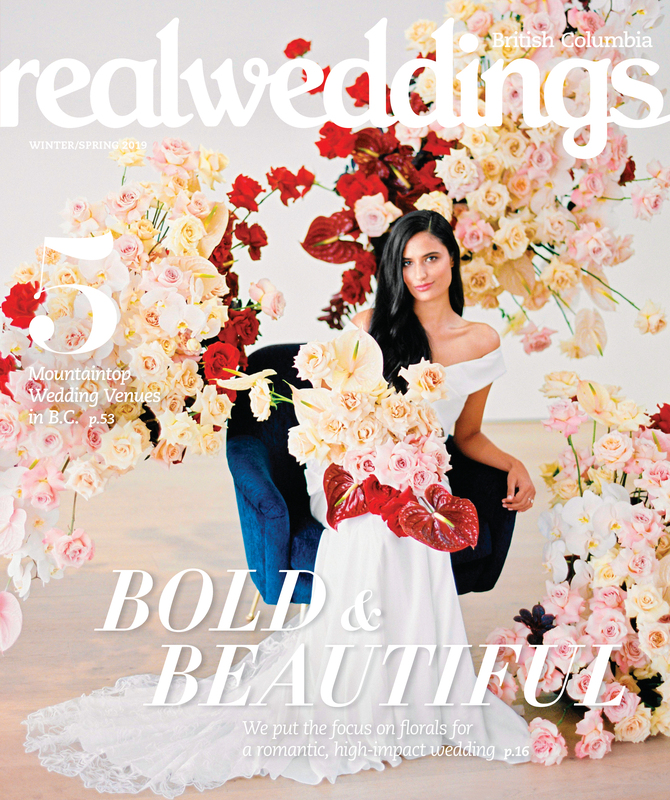 The result is a contemporary twist on the classic winter wedding. 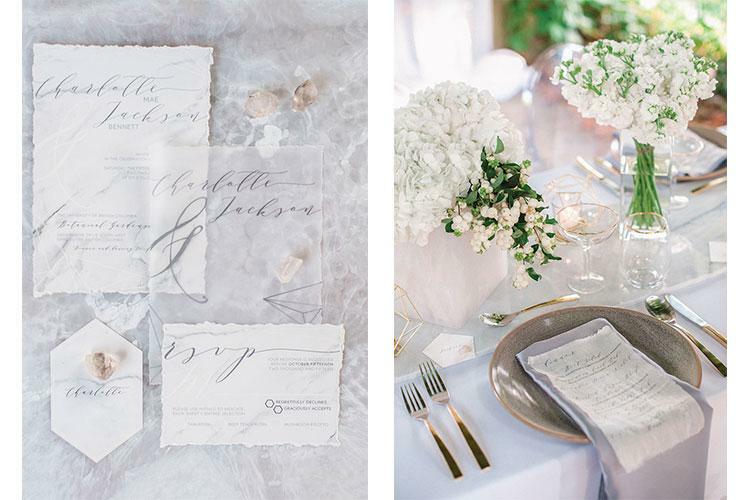 Instead of a traditional fabric runner, marble tiles create a focal point down the centre of the reception table, while dramatic dinner plates add to the visual impact. 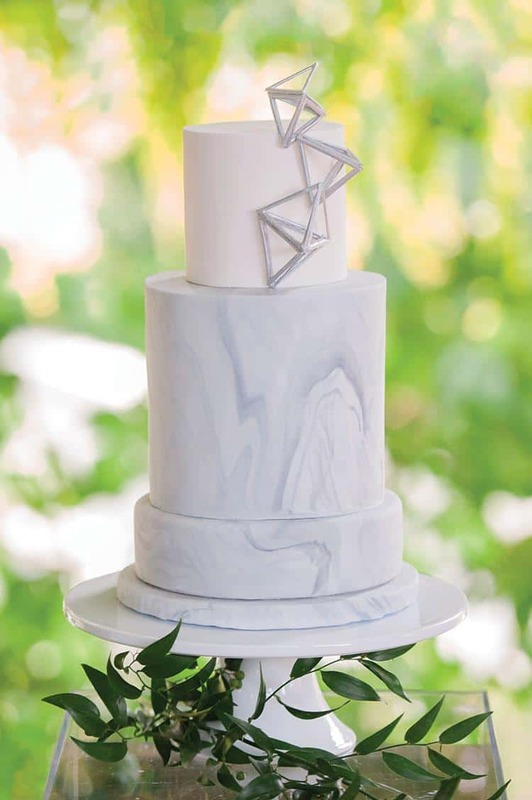 The marble and geometric touches continue in various details ranging from the eye-catching cake and custom topper to the rectangular vases and the icy white and silver stationery. 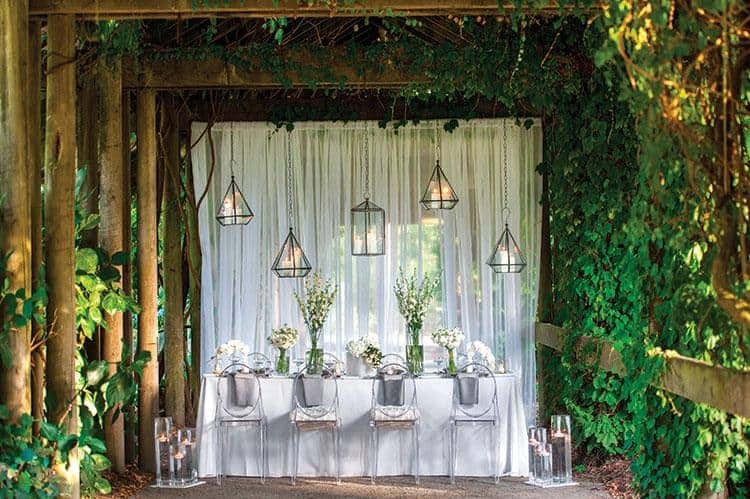 Understated florals in white and green keep the look simple and clean, with custom fabric menus lending the table softness and candles set inside geometric holders and hanging lanterns adding both interest and warmth. 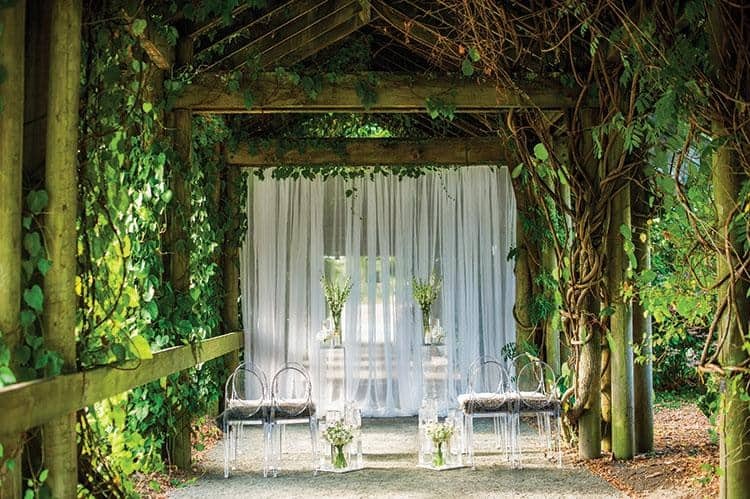 Blankets that double as wedding favours cozy up the ceremony and reception space with their plush textures. 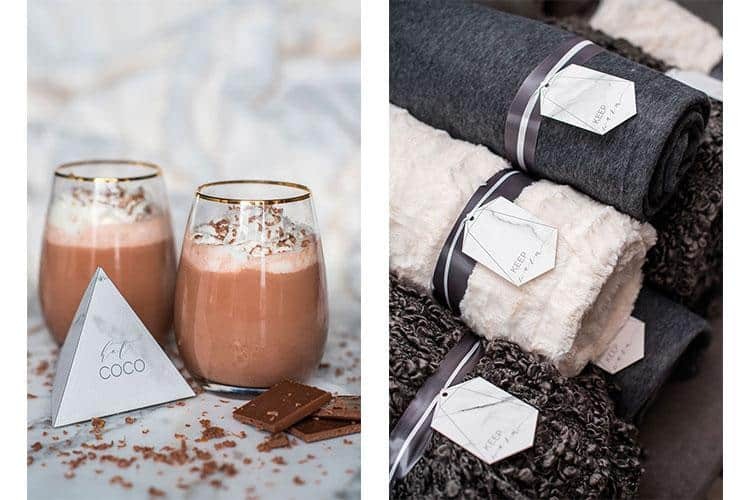 And finally, an espresso bar or a hot cocoa bar serving special touches like chocolate shavings, marshmallows and liqueurs is guaranteed to keep guests warm and toasty.